Today, Ring Dog Rescue and Slave Pit Inc. released the final line-up for their annual summer slaughter-fest, THE GWAR-B-Q, as well as many other details about the event. With a musical bill that surpasses even the greatest line-ups of past GWAR-B-Q’s, and the securing of the ultimate venue for the event, Hadad’s Water Park, this GWAR-B-Q is shaping up to be the most awesome one in the history of the hallowed event! Check out the completely SICK line-up! Premium Ticket $75- All-day entry, official GBQ T-Shirt, meet-and-greet signing and full-on partying with your Lords and Masters, the mighty GWAR! And not only that but one lucky premium ticket holder will get a chance to actually appear on stage during the GWAR show, and be sacrificed in an appropriately gruesome manner. And the GWAR show itself shall be even more awesome than it usually is, due to the return of classic GWAR member and Scumdog of the Universe, The Sexecutioner! One of the greatest things about this year’s GWAR-B-Q is the venue, the amazing Hadads Water Park. Take a break from the sound and fury by passing out into one of the delightful pools at this slice of old-school waterpark heaven. Get your driving directions here. 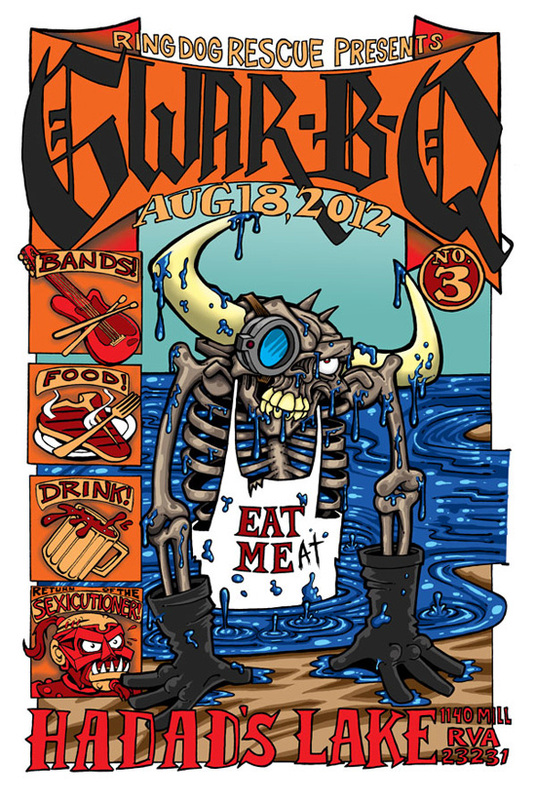 Keep up with the GWAR Facebook page and www.gwarbq.com for updates and details!